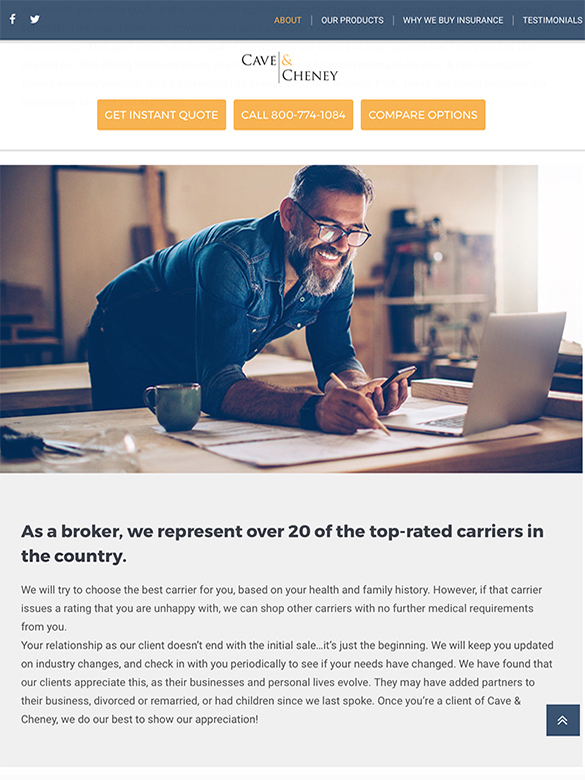 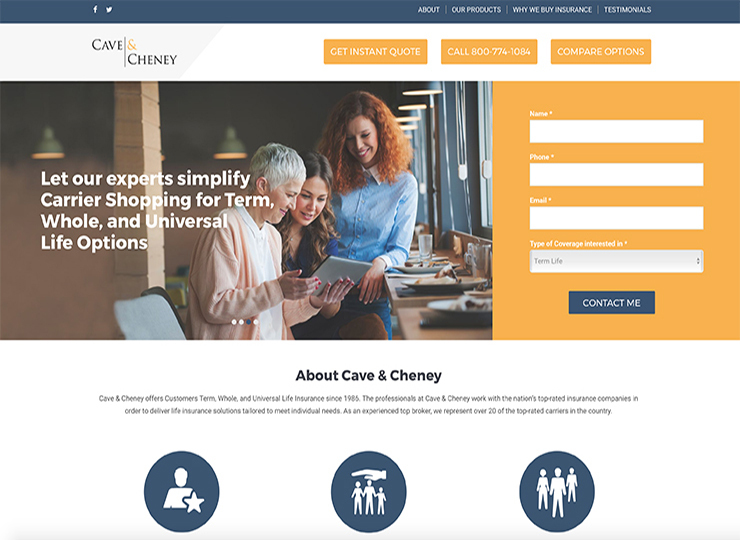 As experienced top brokers representing over 20 of the top-rated carriers in the country, Cave & Cheney offers customers term, whole, and universal life insurance. 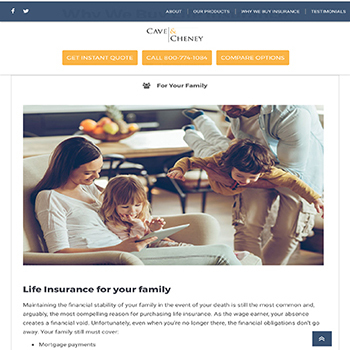 The professionals at Cave & Cheney work with the nation’s top-rated insurance companies in order to deliver life insurance solutions tailored to meet individual needs. 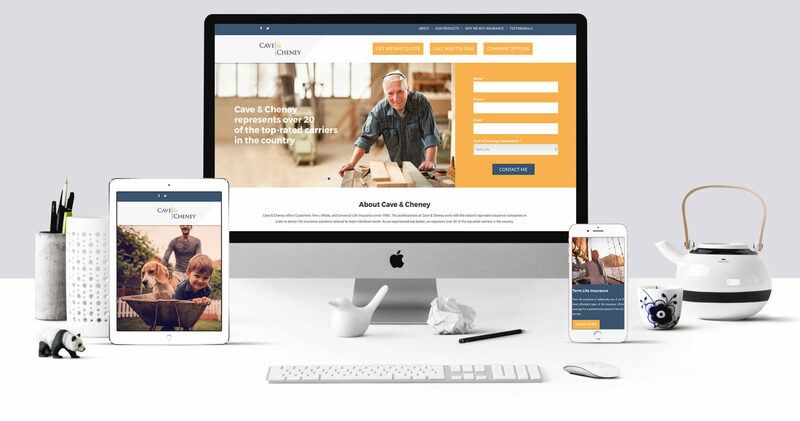 We were hired to develop a new brand by creating a new online presence. 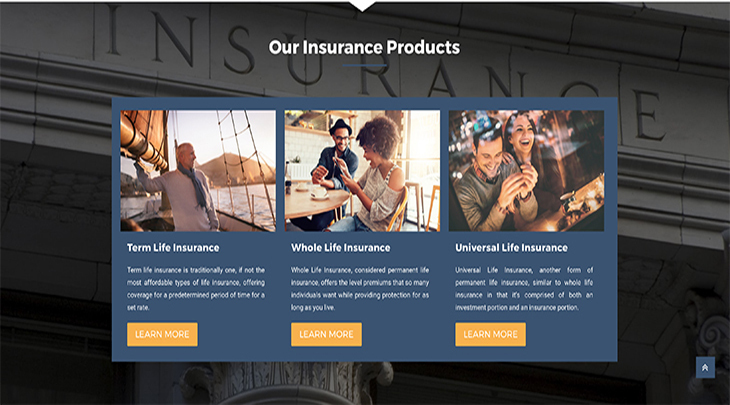 Sharkey Advertising focused on brand design, brand development and building brand equity. 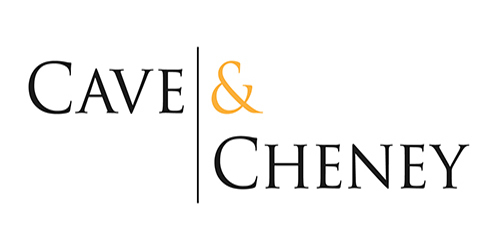 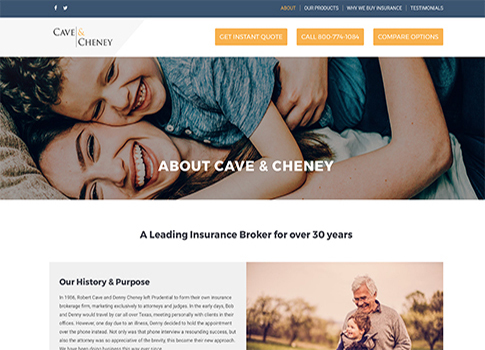 Sharkey Advertising is committed to supporting Cave & Cheney’s initiatives, and partners with them in our effort to promote brand awareness, drive traffic to their website, generate new business and improve the user experience. 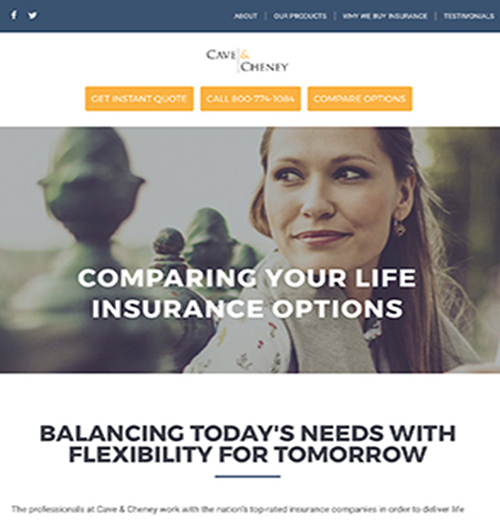 We built a visual brand around C&C’s Term, Whole, and Universal Life Insurance. 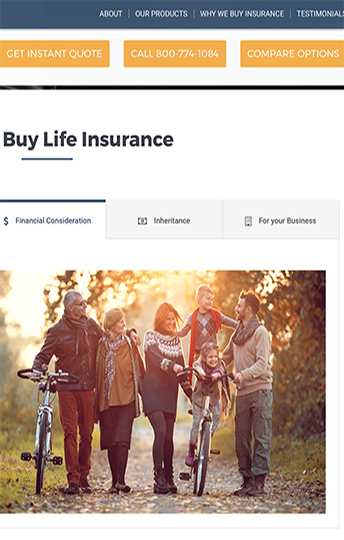 The website focuses on the personal side of Life Insurance For Your Family, Financial Consideration, Inheritance and for a Business. 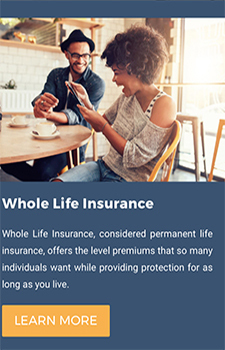 Features such as Why We Buy Life Insurance, and Get Instant Quote with detailed logic, are some of the highlights of this dynamic new website.